In addition to its dental skills, the Clinic distinguishes itself by its human approach and its willingness to ensure a privileged relationship with its customers. Upon arriving at our clinic, you will love the welcoming of our staff and the warm atmosphere that reigns there. The dental clinic of Dr. Trujillo is proud of its facilities. 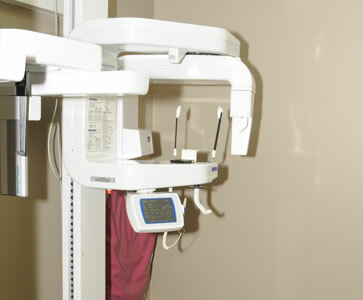 Our five operating rooms are equipped with digital radiography and intraoral cameras. Our digital radiological equipment also includes a panoramic and cephalometric unit. A dental laser is also available for some gingiva surgeries. We have a counseling office if you wish to talk privately about your situation or any concerns about the treatment. 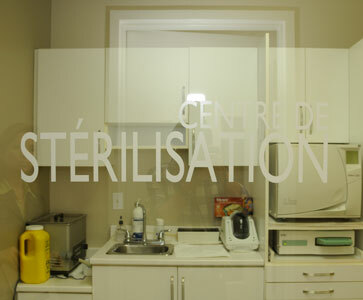 Our modern sterilization unit is regularly subjected to bacteriological tests every month by the Medical Laboratory of Mount Royal, thus ensuring maximum safety for the prevention of infections. All stages of your treatment will be done in an absolute aseptic environment. Universal measures such as washing hands, wearing gloves and masks, disinfecting surfaces and the use of disposable materials provide a complete protection. It is all part of our daily practices for your safety.